With my favorite season approaching, I’m excited to get my hands on new fall fashion and beauty items. A classic black-and-white striped top is forever classic. Being comfortable in your clothes makes a huge difference to the way you feel throughout the day especially on the job. It’s hard to resist not pairing with these very in-the-moment culotte pants. Your summertime office dress should be polished and practical. This gauze stripe shirt is easy and a light piece for summer as well as on your wallet. A reliable suit is a foolproof workwear essential whether you are going for an interview or to a client meeting. 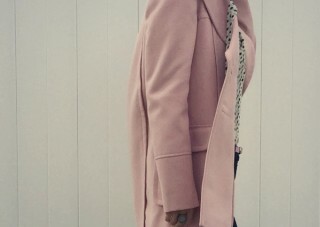 Today, I have just the right coat to brighten up any dreary day. Do you like wearing wide leg pants? Of course you do… at least I do anyway!